Kasteel Wijlre estate is open each Thursday to Sunday between 11:00 and 17.00 with the exhibition P. Struycken – Colour: Profusion and Variability (until 10 November 2019). Kasteel Wijlre estate is also open on Good Friday, Easter Sunday, Easter Monday, King’s Day, Liberation Day, Whitsunday, and Whitmonday. For information on planning a guided tour, group visit, or reception, please visit Guided Tours or Receptions. At the moment, renovation works take place at the estate. The estate remains entirely accessible for visitors. 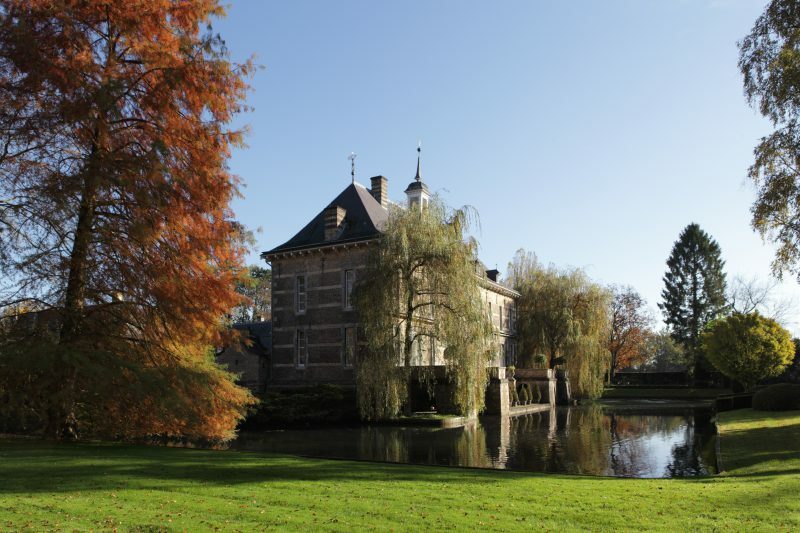 Kasteel Wijlre estate organizes exhibitions, projects and educational activities in the Hedge House, the Coach House and the Garden. The Castle is permanently inhabited and not open to the public on Thursdays through Saturdays. For the first time since the establishment of Kasteel Wijlre, the Castle itself will be open to the public. Jo and Marlies Eyck, the castle’s residents, will open their doors every Sunday. Visitors can admire a three-dimensional colour space by Struycken in the form of jacquard woven curtains all around the dining room.